If you’re seeking addiction treatment for yourself or a member of your household, understanding how insurance can defray the cost is an important step in the recovery process. Policy terms vary, but this guide will help you better understand what options may be available. Rehab is typically referred to as addiction treatment or substance abuse treatment by insurance providers. The Patient Protection and Affordable Care Act, often shortened to the Affordable Care Act or referred to simply as Obamacare, was signed into law in 2010 and requires health insurance plans to cover a range of mental health care services. Currently, most individual, state, or federal marketplace insurance plans must cover substance abuse treatment and behavioral or cognitive therapy. Additionally, most plans are covered by the Paul Wellstone and Pete Domenici Mental Health Parity and Addiction Equity Act (MHPAEA). The MHPAEA was enacted in 2010 to fill in the loopholes left by the Mental Health Parity Act (MHPA) of 1996. Essentially, this law requires insurance plans to cover mental health care to the same extent they would cover other types of medical care. However, employer plans at businesses with less than 50 employees are not covered by the parity law. Although most insurance companies are required to offer coverage for substance abuse treatment, they are not required to cover all types of treatment available. Some plans cover treatment for inpatient or residential care, which means you receive counseling and supportive care while living at the facility. They may specify that coverage is available for 15 to 30 day, 60 day, or 90 day programs. Other plans only cover outpatient care, where you receive treatment while still living at home. Accreditation is another common requirement for health insurance to cover your addiction treatment. An accredited facility has been found to meet medically appropriate guidelines for quality of care and patient safety by an outside agency. Insurance companies value accreditation because it establishes that a facility is using evidence-based treatment that provides the best chance for long term sobriety. You can learn more about your plan’s requirements by reviewing the Summary of Benefits and Coverage. Sometimes called an SBC, this document explains what your policy covers and can generally be found by logging into your online account with your insurance company. All plans are legally required to provide this information. Coinsurance: The term coinsurance refers to the percentage of cost you pay for your care after you’ve met your deductible. Percentages vary, with most plans offering 10, 20, or 30 percent coinsurance. Copay: A copay is the fixed amount you pay for a service after you’ve reached your deductible. Copays can vary for different services within the same plan, but generally plans with higher monthly premiums have the lowest overall copays. Deductible: Your deductible is the dollar amount your insurance company requires that you pay out of pocket each year before your health insurance plan starts to pay for claims. 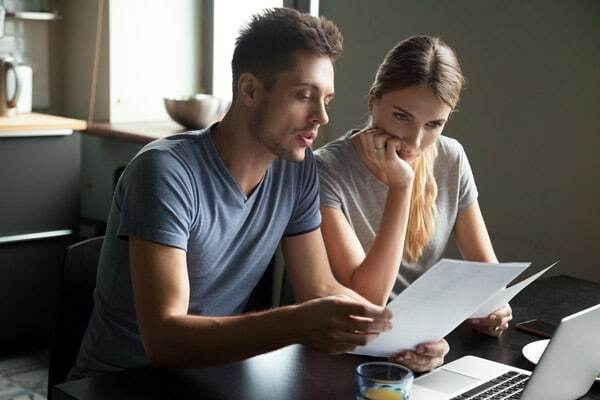 The average insurance plan deductible now exceeds $6,000 per person, but policy terms vary widely and not all plans require a deductible. Additionally, some plans have a carry-over provision, which allows medical expenses paid for by the member in the last three months of the year to be carried over to apply toward the following year’s deductible. In network: An in network facility is part of a health plan’s network of providers with which it has negotiated a discount. In network services are covered to the highest extent your policy allows. Out of network: Services that are provided outside a health insurance company’s network of preferred providers are referred to as out of network. The insurance company may not pay for these services or have a reduced payment. Out of pocket maximum: Your out of pocket maximum is the most money you’ll need to pay toward the cost of your health care each year, if you receive treatment covered by your insurance plan and only use in network hospitals or doctors. When you’ve paid enough deductibles, copays, and coinsurance payments to reach the out of pocket maximum, the insurance company pays for all of the rest of your medically necessary in network health care for the year. Private pay: The term private pay is used to refer to someone who doesn’t have insurance that covers a specific treatment and is paying on their own for the cost of care. Private pay is sometimes referred to as self-payment. Facilities may offer payment plans or financing options for private pay patients. With the cost of health insurance continuing to rise each year, it’s understandable to be concerned that seeking treatment for drug or alcohol addiction might cause your premiums to rise. However, this is not something you need to worry about. It is illegal to raise your health insurance premiums as the result of a mental health or chemical dependency diagnosis. Summit BHC’s has a team of qualified admissions counselors who can answer any questions you may have about receiving drug or alcohol addiction treatment. This includes confirming whether or not your health insurance policy provides coverage for care and working with you to explore options for making any uncovered cost as affordable as possible.